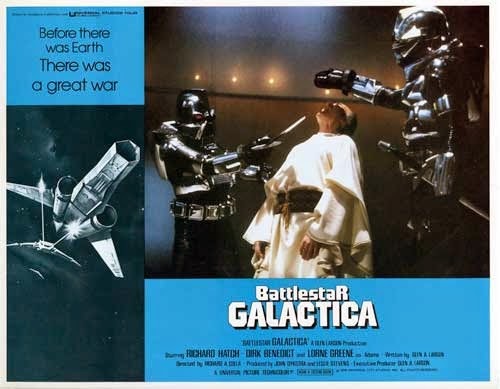 I first saw Woody Allen's slapstick sci-fi satire, Sleeper, on network television around '76 or '77. I had very little idea who Allen was, but it was set in the future and had robots, so I wanted to see it. I remember being confused by some of it, but really enjoying the physical comedy and futuristic stuff. I honestly can't recall if I've seen it since... so, clearly, I need to watch it again. 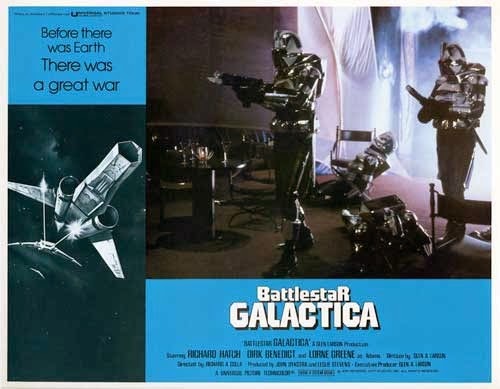 While I go hunt down a copy, here's the phenomenal poster art by the great Robert McGinnis. 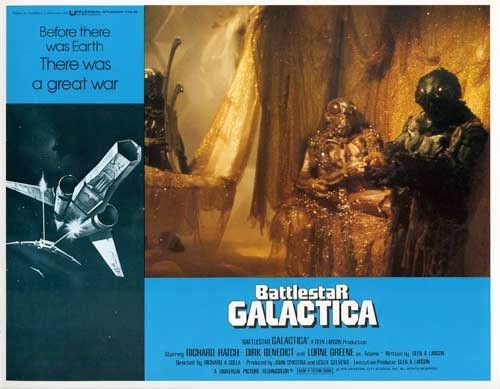 A number of familiar publicity stills (including the always-popular "beheading of Baltar" scene) grace these theater lobby cards for the 1978-79 (depending on the country) theatrical release of the Battlestar Galactica pilot film ("in Sensurround!). As you might have noticed, I'm easing back into regular updates here on the blog, even if they've mostly been photos and videos with only brief commentary. I am working on some more substantial posts, though - some of which I've been working on for a long time. I even have a Space Babes post in the works for July! So stay tuned, Star Kids! Here's an interesting look behind the scenes at the making of Michael Anderson's Logan's Run feature, via a 1975 MGM press publicity tour. We get brief glimpses of Anderson, producer Saul David and costume designer Bill Thomas, who shows off a few of the film's costumes, including a rather different Sandman uniform than the one actually used in the final movie. It also looks like it's David Hasselhoff (Starcrash) modelling the Sandman uniform, though I can't positively confirm it. If it isn't him, the resemblance is striking! 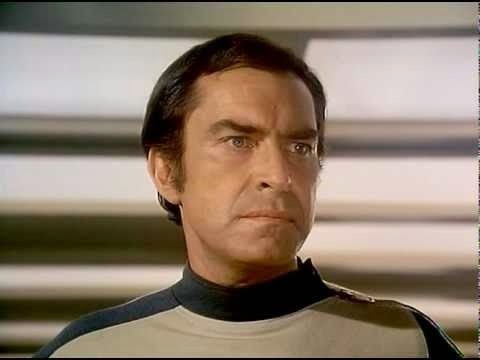 All of us here at Space: 1970 (okay, it's just me - this is a one-man operation) would like to take this opportunity to wish the great Martin Landau, a/k/a the beleaguered Commander John Koenig of Space: 1999, a very happy anniversary of his birth. The acclaimed actor turns 86 today. 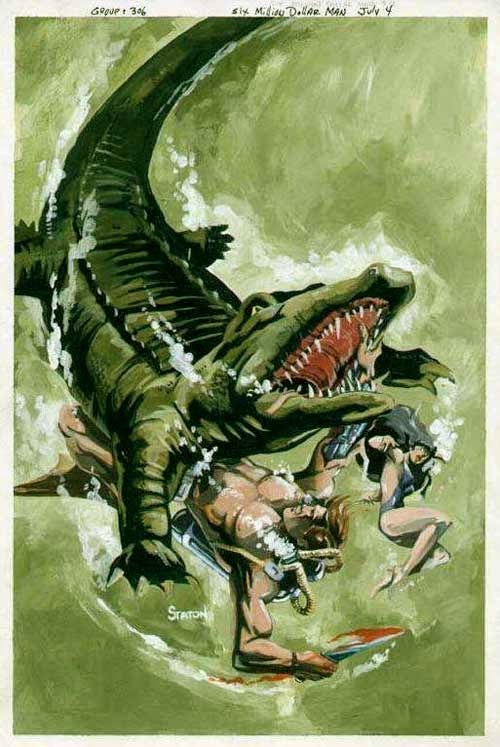 Here's an interesting find: an unpublished cover painting of The Six Million Dollar Man's Colonel Steve Austin battling an alligator by my friend and collaborator, legendary cartoonist Joe Staton, intended for the fourth issue of the 1976 Charlton Comics series. For some reason, a considerably less-dynamic piece by Jack Sparling was used instead.Cool, huh? Well, it's official. 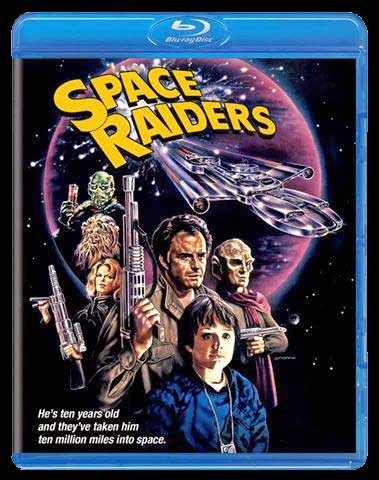 The 1983 Roger Corman-produced interstellar adventure film, Space Raiders, directed by Howard R. Cohen, and starring Vince Edwards, David Mendenhall and Thom Christopher (Buck Rogers), is coming in September from Scorpion Releasing, in both DVD and Blu-ray formats. This outer space take on Treasure Island will be presented in its original theatrical widescreen aspect ratio, and special features will include on camera interviews with star David Mendenhall, producer Roger Corman, and production supervisor Clark Henderson. 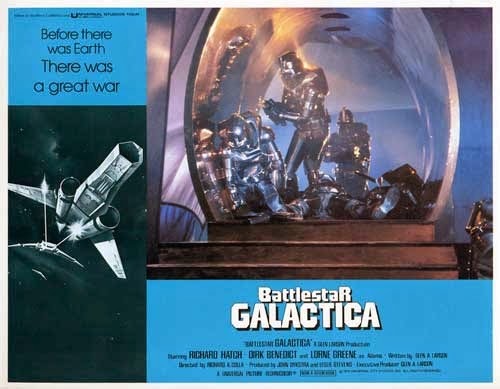 The low-budget effort from the tail end of the Space: 1970 era (as I loosely define it) recycles copious effects footage from the legendary B-movie producer's earlier space operas, Battle Beyond The Stars and (I believe) Android (which I'll be writing about here soon). The SRP for the DVD will be $19.95 and $29.95 for the Blu-ray.